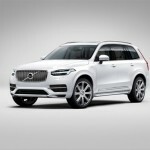 Months of speculation ended today after Volvo Cars unveiled its all-new Volvo XC90, delivering on its promise to introduce a visually striking, premium quality seven-seat SUV with world leading safety features, new powertrain technologies, an unrivalled combination of power and fuel efficiency and a superlative interior finish. Three years in the making and part of a USD 11bn investment programme, the new XC90 marks the beginning of a new chapter in Volvo’s history, capturing its future design direction, incorporating its own range of new technologies and utilising its new Scalable Product Architecture (SPA) technology. “This is one of the most important days in our history. We are not just launching a car, but re-launching our brand. This day marks a new era for our company. 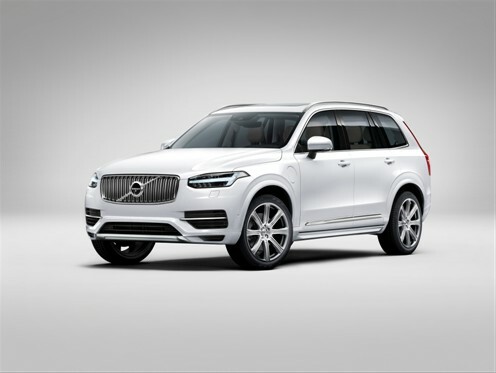 The XC90 paves the way for a portfolio of exciting new cars to come in the following years,” said Håkan Samuelsson, President and CEO of Volvo Car Group. 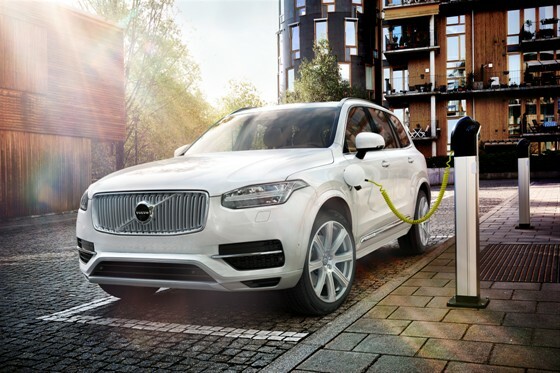 Symbolising this historic day in Volvo’s 87 year history, the new XC90 will be the first of its cars to carry the company’s new more prominent iron mark, which has the iconic arrow elegantly aligned with the diagonal slash across the grille. Together with the T-shaped “Thor’s Hammer” DRL lights, the iron mark introduces an entirely new, distinctive and confident face for Volvo’s forthcoming generation of cars. “The overall impression, both exterior and interior, has a strong connection to the key elements of the Swedish lifestyle: the generous space, the celebration of light and the focus on wellbeing,” said Thomas Ingenlath, Senior Vice President Design of Volvo Car Group. 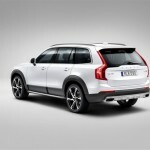 The XC90 is firm evidence of the Volvo-by-Volvo strategy. 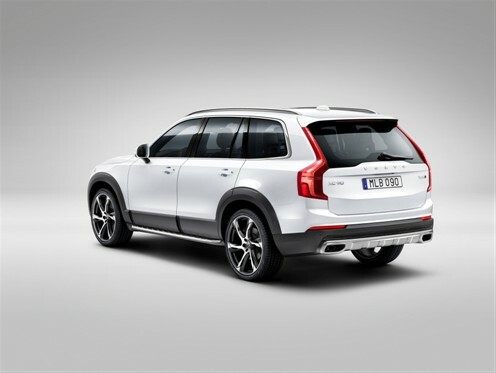 Its outstanding combination of luxury, space, versatility, efficiency and safety will bring the SUV segment into a new dimension, just as the original XC90 achieved in 2002. 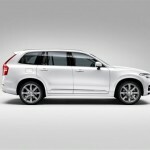 The top of the range XC90 Twin Engine, which combines a two-litre, four-cylinder supercharged and turbocharged petrol engine with an electric motor, offers an unrivalled combination of power and clean operation: around 400 horsepower with carbon dioxide (CO2) emissions of around 60 g/km (NEDC driving cycle). Three focus areas will help Volvo Cars to reach Vision 2020: safety, connectivity and autonomous drive. 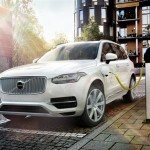 “With the XC90, we take the first step towards self-driving cars. A new function that automatically follows the vehicle ahead in stop-and-go traffic will provide a radically simplified, semi-autonomous driving experience,” said Lex Kerssemakers, Senior Vice President, Product Strategy and Vehicle Line Management of Volvo Car Group. The XC90’s interior is the most luxurious to have been designed for a Volvo. The most striking feature is a tablet-like touch screen control console, which forms the heart of an all-new in-car control system. This system is virtually button free and represents an entirely new way for drivers to control their car and access a range of Internet-based products and services. It also helps create an interior that is modern, spacious and uncluttered. “The new interior is pure and uncluttered, while still radiating the sophisticated confidence and formality that luxury SUV customers expect. The simplicity is perfectly in tune with our Scandinavian design heritage. It opens up generous surfaces and gives us the opportunity to create a modern, luxurious interior architecture,” says Mr Ingenlath. The new XC90 interior combines materials such as soft leather and wood with handcrafted details, including a gear lever made of crystal glass from Orrefors, the famous Swedish glassmaker, and diamond-cut controls for the start/stop button and volume control. Craftsmanship has been in sharp focus during the whole development work. The genuine seven seater features new, innovatively designed seats that also free up interior space for passengers both in the second and third seat rows. The third row offers class-leading comfort for two passengers up to 170 cm tall. The XC90 features one of the top audio systems available in the automotive world after Volvo Cars audio experts joined forces with their counterparts at the renowned British audio equipment company Bowers & Wilkins. 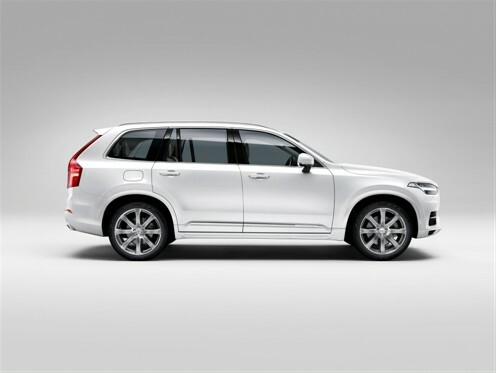 The top-of-the-line system in the XC90 features a 1,400 Watt Class D amplifier and 19 Bowers & Wilkins speakers. It also includes one of the first air-ventilated subwoofers in a car. Integrated into the car body, it turns the whole interior space into a giant subwoofer. The Urban Luxury package combines a colour co-ordinated body kit with polished stainless steel details, such as front deco frames, front and rear skid plates and side scuff plates. The 21-inch exclusive polished wheels complete the elegant look.